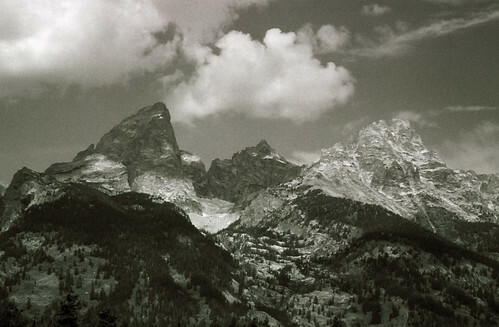 The Cathedral Group is the name given to some of the tallest mountains of the Teton Range. In this photo, I believe, the peaks of Grand Teton, Mount Owen and Teewinot can be seen. This entry was posted on March 9, 2008 at 2:32 pm and filed under Cathedral Group, Grand Teton, Grand Teton National Park, Mount Owen, mountain, National Park, Teewinot, vacation, Wyoming.